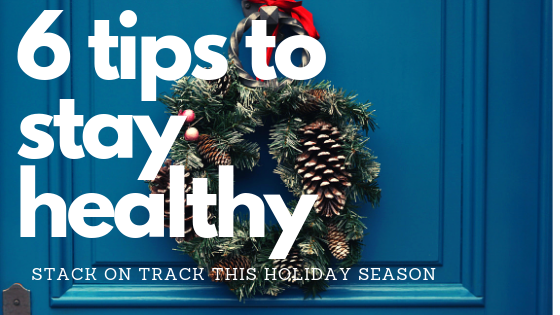 6 tips to stay on track this holiday season. Oh the holidays...The hustle and bustle, holiday parties, family recipes and sweets galore. Staying on track this time of year can be tricky. With co-workers showing up with store bought snow man cookies and 300 calorie pumpkin spice lattes saying no can be quite the challenge. How can one stay on track without turning in to a total grinch? Autumn is officially here and I wanted to share my favorite items for this lovely season. I already shared my tasty 5 healthy fall recipes and I couldn’t stop there. While you may be shocked to find not one season pumpkin spiced item (I know, it’s just not my thing) this list just what you need to feel that cozy fall vibe. What screams fall more than getting cozy with loved ones under a super soft blanket? I am obsessed with oversized throw blankets for fall. It’s the perfect way to give your space a luxury comfort feel. There is no better thing to do during those chilly autumn days than snuggle in a soft blanket. There is nothing like a great book to give you a fresh perspective on life. Mark Manson’s The Subtle Art Of Not Giving A F*CK is both hilarious and helpful. Just because your school days are over doesn’t mean you should have silent sustained reading on your schedule. I am loving all things sherpa for fall. This oversized chunky sweater in the perfect item to add to your wardrobe for fall. I ordered a size up for a slouchy fit. I am turning 30 this fall so anti-aging is become a thing. I love the rich feel of this face cream. Especially as we head in to the cooler drier months. This cream has an lovely lavender and myrrh scent.